I am still new (in my mind at least) as I only started blogging in June of this year. It's getting to know new bloggers, I have discovered so many new book-blogs these past few months, and I love reading other people's point of view on books I have already read. It has also made my already convoluted TBR list bigger. There are so many passionate bloggers out there who make me want to read even more books that I usually read. My favorite books that I've read this year are Chasing Magic, Stormdancer, The Iron Prince and Anna Dressed in Blood. One is finding so many new friends. Another is that I actually sometimes get ARC's now. I love being able to read books before every other reader gets their hands on them. Hmmm...I don't know about BIGGEST, but I'm currently reading The Diviners by Libba Bray and it is full of 1920s slang. I can almost always get the context, but some of the phrases are really weird. For example: "Ida was a real tomato who was not hitting on all sixes." Another character translates for the adult in the room: "She was pretty gullible." Sounds like a lot of fun! There's nothing like having to decipher slang. Wow that is not what I would think upon reading that. Shows you how much I know about 1920s slang. lol I think I would be really lost in that book. Yikes! My word is really out there. Okay, at least it was for me, but maybe I am either too old or was too sheltered. lol Have a great weekend. it must be fun to have a book like that. I really couldn't think of a word today! I know I did check one this week, but do you think I can remember it?? Hi Allison--old follower. Unless I can determine a word from context, I will revert to the good ole dictionary.....see my post at bethartfromtheheart.blogpot.com...it's a big word! Yeah that would be difficult if the book is based in another time! I would be looking words up too! Wow, I never would have guessed from the first slang what it meant. The 1920s seems to be a really interesting era, and I love those flapper dresses! Hehe. That's a great quote. One of the reasons I love historical novels is the lingo. Thanks for stopping by last week. I really want to read The Diviners. I love lingo like that actually!! Just stopping by to share the FF love :) I am so excited to be featured by you today!! My God! so many words and my mind just went blank! Thanks again for hosting this great blog hop! I have to say, I don't know if I could tolerate a whole book like that :-) Thanks for sharing. Slang is always interesting to read. Like you I can usually figure out the meaning through context, but it does take time. Old follower. I love learning new words, and slang is always fun too :) Thanks so much for stopping by! Hope you have a wonderful weekend! one of the things I love about my Kindle Fire, is how handy it is to look up words , or to see how to pronounce them as well, I always highlight them, to look back later on as well. Thanks for stopping by my FF Post! Slang from a different time period can be difficult! I usually have to try and infer the meaning from the surrounding sentences. Have a great weekend! That's definitely new slang to me. I wouldn't have thought that's what that meant! Here's my F&F post! Ooh slang is difficult- and not as easy to look up! I am only about 100 pages into Casual Vacancy - I think you are further along with the audiobook! :) Thanks for stopping by my FF post! I love books written in the olden days so thats an interesting answer to me. thnx for stopping by my FF! Hi, there. 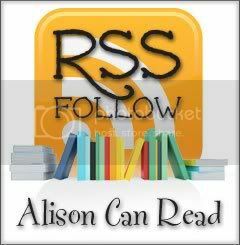 I'm a brand new book blogger and am following your blog. Hey Alison! Sorry I missed this week #FF. I went to the Austin Teen Book Festival this weekend :) I hope you have a great week. I'm new to the whole blogging world, but I'm excited none the less! I would have never guessed there were so many blogs I would love out there, the link list is awesome.